Census of the Heart is a prototype project that set out to capture the emotional state of a nation. While the National Census asks who we are, Census of the Heart wants to know how we are. We decided to get straight to the heart of things by asking you to tell us about your experience of being alive in Ireland in 2016. Phase 1 of Census of The Heart was designed to inspire and engage with the inner world(s) of a nation and start a conversation. Our Preliminary Report scratches the surface providing some rich findings that explore the complexity of being human in Ireland in 2016. These findings show us what people care about and what they are concerned about. Most importantly like all good research the report tells us things we might not have known before, revealing areas ripe for more questions and deeper research. The data gleened offers us a number of key themes, important insights and initial indicators towards areas for further research that could aid Ireland’s social and cultural evolution for future generations. In designing the survey Census of the Heart felt it was important to evolve and add a number of demographic questions outside those currently posed in The National Census. This was to reflect the increasing diverse and complex expressions of people’s life choices in Irish society in 2016. The data shows that Census of The Heart respondents engaged with the additional options and questions offered in our survey — eg 81 different words were expressed by respondents outside of male and female categories to describe gender identification. We also received many encouraging messages online about our demographic inclusion which suggests that the National Census should consider evolving its demographic questions for the 2021 Census. We asked the question “Do you feel cherished in Irish society?” 100 years after the term was featured in the Proclamation of the Irish Republic. While we are aware that in the context of the Proclamation the term “cherish” refers to the inclusion of Protestants and Catholics in Ireland 1916, in Census of The Heart the term has a broader socio-economic frame of reference. By introducing the question we wanted to find out if the term “cherish“ was part of the public repertoire. To survive and thrive as a species we believe that our social and economic systems must evolve to ensure people feel cherished meaning valued, protected and cared for in Ireland 2016. Over one third of respondents disagreed and strongly disagreed with the statement, while another one third sat on the fence. We are left wondering if the concept of being cherished is a foreign one to people in Ireland today. It appears we have low expectations of being cherished and cared about despite the contemporary resonance of the word cherish. In his paper Remembering the Constitution: The Easter Proclamation and Constitutionalism in Independent Ireland (IBIS UCD 2011). John O’ Dowd states that passage below is the "most well-known and resonant portion of the Proclamation"
The Proclamation of the Irish Republic Easter 1916. This is borne out particularly in the qualitative data findings to date. It would be interesting to do some further research into people’s understanding and ownership of this as a value in Ireland today. Within this context we wonder if Census of The Heart could be utilised as the foundation to build the tools that explores the relevance and real resonance of values and ideals of the 1916 proclamation for contemporary Ireland by measuring the real human state of affairs on the island of Ireland one hundred years later. We know that documents such as proclamations, constitutions and (some) laws, are full of beautiful words and motivated with noble intentions and ideals. We are wondering whether these words have any significant meaning other than being words on paper or can they affect the course of society's evolution? The National Census 2016 took place on April 24th and coincided with the precise anniversary of the 1916 Easter Rising.  We set out to investigate what the respondents would have to say about their connection to their national identity, national pride, being alive in Ireland in 2016 and what kind of Ireland they wanted to leave as legacy for future generations. There was a high rating of national pride in the quantitative data. This leaves us wondering if we are seeing a strong national pride in part because of the strength and success of the centenary commemorations. In the qualitative responses, the 1916 commemorations were referenced in a number of ways - nostalgically, romantically, critically and also as meaningful and inspiring. The qualitative data offers more details on the theme of national pride. In an initial analysis of Q38 the word “proud” occurred 471 times and 8 times in Q34 within a simple frequency search. We note however that although the word proud recurred most frequently, this appeared to be proud to be Irish but not proud of Irish behaviour regarding inequities. The qualitative data highlights a sense of cultural discontent and dis-empowerment that is worth noting in light of Brexit and the current US Presidential campaign. Further research on Irish identity would be useful here both in terms of separation of individual and state as well as motivations for feeling proud. We have some of the highest rates of childhood poverty, illness, illiteracy, and alcoholism, suicide, mental illness, homelessness and drug addiction in Europe. We have failed and continue to fail to provide care for children, the sick and the elderly and any other vulnerable group you care to mention. We have a hugely divided society with the rich getting richer and the poor getting poorer. We are not proud. We allowed this to happen. The overarching emergent theme within the qualitative data was social justice across all aspects of society e.g. health, equality, homelessness, children, the vulnerable and the marriage referendum. Within Q38, frustration was a noted emotional response, particularly in relation to the divide between the “have and the have not’s” and social inequity. Negative emotions e.g. depression, frustration, despair and disappointment were frequently used in reference to a perception of increasingly materialistic values, neo-liberal agendas and the oft-cited ‘corrupt’ or failing government more focussed on personal gain or economics. The 8th Amendment was also repeatedly mentioned as a key concern and a source of inequity and shame, questioning Ireland’s status as a contemporary country. Conversely the Marriage Equality Referendum was perceived as a collective “shot in the arm” and was considered something to be proud of, inspired hope and brought with it a sense of potential — if such legislation could be passed then other changes are possible. Allied with this is the data from Q 35 36 and 37 which relates to civic engagement and citizen action towards creating a future people want i.e. citizens taking responsibility for creating change and not relying only on the Government. Due to lack of funding in Phase 1 we were not in a position to analysis this data. We feel further analysis in phase 2 here is critical. Census of The Heart set out to assess the emotional state of the nation.  In quantitative section we included questions on Wellbeing, Happiness and Emotional States of Being. In qualitative open-ended questions respondents answered using their own words which allows for subjective understanding and insight into the deeper meanings that underpin their answers in the closed questions from the earlier part of the survey. In the qualitative data respondent’s also reference overwhelm frequently as well as disempowerment with insurmountable problems and a lack of belief that they can affect change despite statements about the knowledge of the populace’s potential. A striking feature of the qualitative responses is that over and over respondent’s statements reflect emotional states that are contradictory and dualistic. Most responses held both positive and negative states sometimes in the extreme. Change and transition was frequently mentioned and the emotions that pertain to change, for example a high frequency of words like safe, safely and safety showed up in question 34. The acknowledgement of change or transition is accompanied with a multiple acknowledgement that there is ‘work to be done’ but lack of knowledge of how to act. There are some harsh references that are blaming or chastising and other references coded to emotional states are lack of confidence or fear.  There were two open ended questions in the survey that invited respondents to consider the future, consciously taking them “back to the future” from 1916 to 2016 and forward to 2116. These question gave respondents an opportunity to imagine the world 100 years from now and the opportunity to speak to future generations in 2116. Q34 focused on aspirations for the future. In a preliminary word search of Q34 safe, peaceful and equal were the words most frequently used to describe aspirations for the future. Political and Systemic concerns: infrastructure, government issues and financial matters. The 2016 National Census took place in Ireland on April 24, the precise anniversary of the 1916 Easter Rising. To mark this occasion The Trailblazery created Census of the Heart inviting anyone living on the island of Ireland to participate. We decided to get straight to the heart of things by asking you to tell us about your experience of being alive in Ireland in 2016. As a small island nation we are also at a meaningful intersection or pivot point. Down the tracks, 100 years from now, future generations will be able to access the National Census 2016 records and find out about us, their ancestors. We saw this moment as a unique opportunity to engage with people in Ireland, inviting them to check in with themselves and to express their voice. Census of the Heart asks vital questions that hold up a mirror helping us to see ourselves as individuals and as a collective. We have a hunch that Census of the Heart data could contribute to our collective social evolution. We had an overwhelming response (almost 12,000 people which translates into almost half a million answers). Census of the Heart is now a unique repository of knowledge that holds the intimate values, loves, hopes, regrets, fears and dreams of almost 12000 people living on this island in 2016. We have been blown away with the response and look forward to sharing our findings with you. Thank you for adding your voice, lending your hearts and sharing your world with us. Census of the Heart 2016 is our first step on a collective journey into the great beyond, together. Welcome. Phase 1 is now complete with the launch of the preliminary report. Phase 2 is about further developing and analysing the data collected in Census of The Heart. We want to take the process further with a dedicated team of experts. We want to drill deeper, down into the COTH data to find emergent themes, patterns, beats, rhythms etc. We also want to cross reference the data to discover the true meaning of key attributes gathered from the survey, which may lead to further research in key areas. Census of the Heart is designed & created by Mari Kennedy & Kathy Scott and brought to you by The Trailblazery (Rites of Passage and We Need to Talk about Ireland). In 2009 they founded the ireland : iceland project – a collaborative creative project connecting the islands and people of Ireland and Iceland. For further information contact The Trailblazery by email, on twitter or on facebook.